Excellent customer service and quick turnaround. Craig, the manager, could not have been more helpful. The branch seemed very short staffed, so those who were working were having to juggle a lot of jobs at once. This is what has stopped me giving the branch top marks. I have been using the Bristol branch for the last 10 years. Craig, the manager, is a credit to your company and is the main reason I use National very regularly for tyres, brakes and more. He has excellent customer service and despite running a busy site and managing his staff is always polite and willing to give time to advise and offer the best products for my needs. Westley (another member of staff) is also worthy of recognition for giving good customer service. The staff attitude was good, dealt with my tyre puncture efficiently and in a timely manner. However, it was irritating when i presented an online voucher from national on my smart phone re £8 reduction off puncture repair, which cost £24. It was rejected as it had to be paper copy. In hindsight, would have printed it out, but not clear on website this was the case. I was trying to save on paper but not helpful outcome for me. Really friendly and the staff were very informative with my problem. Very helpful and knew their stuff. Excellent service and great advice given. A great friendly, professional and trustworthy atmosphere, that was my first impression presented by the staff, from the moment i enter till the moment i left. Excellent, friendly and informative staff. Minor problem was getting my car out from behind one of the vans at the end. I appreciated being shown where the tyre in question had been punctured. A few months ago my Wife used the brislington, Bristol branch for new tyres. The efficiency and politeness of Craig Gommo was exceptional. Yetserday my brakes needed replacing and I had no hesitation at returning to the same garage, once again being served by Mr Gommo. His customer service style was excellent and the job he performed was first class. Today I went for a check on the rear brakes. Once again excellent customer service, cleaning the brakes and having a good all round check. My mot is due next month and I would have no hesitation with returning to the garage once again. Outstanding service . After visiting a couple of places for tyres and tracking i found that i had the best price and service at national brislington Craig and Aaron were very helpful and gave me the best advice for the future i will definitely recommend them to friends and family and will be using you for the seeable future. Kept informed at every stage of the work being performed on my vehicle and very helpful staff. Despite their 'phones being down which created obvious problems Craig at the Brislington Bristol branch got my oil change carried out promptly and efficiently.. Top man, deserves great credit for keeping calm and carrying on.... The work was carried out perfectly, no mess, level correct, thanks !! Very helpful and honest, apologetic for long queue. Mark was very helpful throughout visit and made us feel reassured , we had disabled children with us and he was very good with the children also and allowed us too stay in the warm whilst we waited for transport, excellent customer service throughout!! !would recommend. Processional friendly Service showed me what was wrong and tried to match the price for a single tyre with the price i paid last time for a set of four. Also performed a further check and highlighted items that required attention, but without been pushy ? Good service overall, although customer interface could have been more friendly. However the 'accidental damage' lifetime guarantee was slipped onto the bill with no explanation. If I'd known the terms and conditions I would not have taken this and, indeed, in the speed of the final transaction it was difficult to question it. Quick and easy booking, good price, friendly staff and ready for pick up in an hour. Did my MOT there now for the last couples of years and never had any issue. Good customer service, always happy to advise and never try to oversale!!! Great value for money. Helpful staff. Quick and efficient service. Great service, Craig and the team were first class. Excellent customer service. All staff members were efficient, professional and welcoming; and when an additional issue was noticed, staff (Craig in particular) went above and beyond to ensure things were sorted. Helpful chipper staff (although overworked). I came in to have an old tyre replaced advice note 920801 and then found a problem with the nearly new tyre having a puncher advice note 920293 which then needing to be replaced with another new tyre advice note 920802. How your Bristol branch staff manage to deal with the issues I presented to find the best out come for me as I am a full-time carer for a person with dementia and have very little time to deal with other things. Good advice given, patient care taken over explanation of problems and fixes. Friendly attitude. I thought the customer service was good. Easy online booking a good branch service. You were unable to replace my PAS pump when my car failed it's MOT. Not a huge issue, just really inconvenient. Craig was very patient and concise despite being very busy. The ease of ordering online was good only let down by the booking in of the tyre which it was advised was not on site., Craig located it however so all was good. Excellent customer service, I went in with a problem which the guys could have said is gonna cost me any amount of money, but after inspection and adjustment my problems were resolved. Also I had my young son with me and the guys kept me up to date on what they were doing as they were doing it, which reassured me that I wasn't just sitting around for the sake of it. Faultless service. I was greeted and served by a lovely gentleman called Craig. As soon as I walked in I felt comfortable and reassured from the start. Going to main dealers and big name garages previous I have always felt they will make more issues out of my car than there actually are, to get more money in their pockets!! But at national Craig was extremely honest with me, within 5 minutes of me arriving they had already checked my car over and assured me they would sort it ASAP (which they did) throughout the whole time I received professional yet extremely friendly service and I am more than impressed. (Being a 20 year old female) I haven't the slightest clue about cars, Craig explained everything in my language so I could understand and that was greatly appreciated. Would recommend to anyone! Good service and great prices. Staff very courteous. Tyres were cheap for quality. Customer service was good. I was accepted by tge centre in Brislington, Bristol even though they were close to their closing time. Craig and Wes were very helpful and accommodating. Efficient, they went out of their way to get me the tyre I wanted and did the work they said they would do by the time they said they would do it. Very good. Good service just short staffed so long wait. I have used your services on a number of occasions and I am especially pleased with the discount vouchers you offer. However, as it is with all auto repair centres, labour costs is a major issue for me. Went to Bristol Bath road branch with grinding noise in back brakes The Manager Craig Gommo realised it was a serious problem and even thought they were very busy, insisted that it was dealt with straight away He showed me the problem which was the pads had worn down and had badly scorn the disc he immediately organised replacement disc and pads and fitted them I was very impressed with his professionalism, skill, and concern for my safety I thought that the costs was also very reasonable This is not the first time that Mr Gommo has dealt with my cars and vans I have always found him to be fair, dependable, and gave me confidence that I would get a good job. I've used your service on several occasions in the past and have always found the service to be professional and reasonably priced. I have already recommended National Tyres and Autocare to friends and colleagues. Good work done however could be abit more speedy. I have found National staff completely trustworthy in all they do in the way of repairs and the information they provide. They do their best to accommodate work at short notice. I found your Bath Road Bristol branch team helpful and efficient with my car issue. Also the ttyre was sorted as quick as possible. Overall the team at this branch made you feel like calling again with car problems. My only experience of National is the Brislington branch in Bristol. The manager, Craig, is very conscientious and the quality of workmanship is always to a high standard. Even when I just need advice, Craig is extremely helpful and I feel he is a credit to the company. This is what has kept me coming back and using National for the last seven years. The two guys were friendly and gave me helpful suggestions. Good prices, good advice (hopefully; time will tell) and good service. Extra discount for AA membership. Excellent service as always, good value for money. Excellent costumers service and honesty. i was going to write to you before I saw your feedback form. James Short and Westley O'Donogue are a credit to your firm, they are both the type of people I would have employed had they been in my profession before I retired. This even if I was paying them with my own money. They generate trust, enthusiasm and have the right attitude. I have already recommend this branch to others. Very helpful, service sane day, explained everything. Job done quickly and efficiently. Guy there very polite and helpful. Was impressed with the vehicle safety inspection provided, when all I went in for was a tyre. The staff were polite and friendly. It is a comfortable place for females to go. Local based company & easy access. Great prices. The staff were helpful, courteous, and kept me informed. Staff are polite and seem very knowledgeable. However busy, they will still take the time to answer any queries without sounding impatient. Great service, friendly staff, competitive prices, work carried out in timescale provided. The guy was very professional and helpful at short notice, gave good advice and made it a personal experience. value for money .. service... very good knowledge. Happy with service, would have appreciated warning on time it would take - and - sounds trivial doesn't it - but a newspaper or two to read would make an hour's wait a lot less tedious. polite service manager .kept me informed throughout tyre replacement . staff are knowledgeable and polite. great range of products. Quick, easy drop in service. Friendly and professional staff, fast service, tyres were either available or ordered in next day. Cant fault the service. Professional service and prepared to match lowest prices locally. Professional way in which all aspects of work were handled. Safety check very useful. Easy to chat to, gave honest opinion of options available to me to suit my vehicle use. Job done at the time agreeded. Excellent Service, Attentive Diagnostics and Excellent Customer interaction. Sam provides an excellent balance of professionalism, friendliness and integrity. Excellent service. Prompt and polite team. Exhaust back and mid sections being replaced when front section disintegrated. Technicians made a temporary repair, which enabled me to get home to Swindon from Bristol. This saved me considerable time, inconvenience and expense getting the train. The repair wasn't finished at closing time but the technicians finished it in their own time. Cannot praise them enough. Superb! Quality service, good prices and communication. Pleased with everything. Excellent service yesterday. Kept to promised time, good job done with no fuss and no hidden extra costs. And a discount was given because of previous delays. Excellent service, really friendly staff. Happy friendly staff (even on a busy Sunday! ), informative but not pushy like some chain stores. It took a while to get eveything done but they were very busy and worked hard with what looked like low staff levels. Phoned local branch for tyre puncture repair, I was pleased with the help I received to effect prompt repair while I waited. Provided you buy online the tyres (Goodyear Asymmetrics for my Volvo V70 T5) have always been very competitively priced but what has made me a regular customer now at National's Brislington (in Bristol) branch is the really high standard of customer service I always get from Sami and his team - quick to fit you in even when busy, friendly, welcoming and helpful with good advice. Sami really understands customer service and I have recommended National to friends. Friendly staff, very quick service and helpful. The service I received was exceptionally courteous, friendly and prompt. Had fantastic service from all the guys there especially Sam who I dealt with on the phone and in person, he was superb with helping me. 10/10 service. Excellent from start to finish as always, couldnt fault the service. Always exceeds my expectations. Very quick. Attentive. Friendly & Helpful. Explained and answered all my questions. The fitment of 2 front tyres took longer than I had anticpated (see below). Otherwise good customer service given. Customer Sevice was very good. The tyre I bought was at a reasonable price, and the customer service was good. However, the online system offered a morning fitting time but I had to wait until 4pm. Quick, fast, polite, friendly service. Not often addressed as a Sir these days, staff member Martin Stephens is a credit to the Bath Rd, Bristol store. Thank you and please pass on my thanks to Martin. High score given due to link to tyre-shopper other wise 7 would have been given due to higher prices. Best price for my tyres. Honesty and professionalism of manager & staff. 'cause I did few services with you 'till now and I'm happy with your job! thank you! Helpful staff and good value desk on tyres. Very good customer service and good prices. Craig Commo was very helpful. Friendly service, good choice of tyres, good website. I have used National Tyres and Autocare, Brislington, Bristol on more than one occasion and have been very pleased with the service. 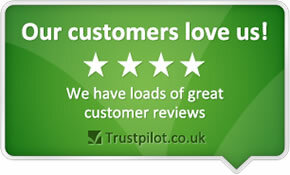 Staff are helpful and professional, doing the job well and the tyres are at a good price. It's a good idea that other checks such as exhaust condition are done at the same time. The website is easy to use and informative.